It’s November and wild strawberry plants (Fragaria vesca) are still growing in abundance along hedgerows here in Wiltshire. Although there are no actual strawberries, my rabbits love the delicious leaves. Strawberry plants are quite hardy and can survive year to year but very cold weather will damage the leaves. It’s very mild at the moment so my rabbits are continuing to enjoy this treat a few times a week. Wild strawberries produce white flowers between April and June. The flowers are followed by the fruit which starts off green and ripens into a red colour. Yellow ‘dots’ can be seen on the surface of the fruit which are the seeds. Wild strawberry fruits are miniature versions (about 1 cm diameter) of the strawberries you see in the shops or grow in your garden but they can also be eaten by human and rabbit alike. The plants spread across ground using runners (stolons) and they have the same characteristic shaped leaves as cultivated strawberry plants, comprising of three ‘leaflets’. 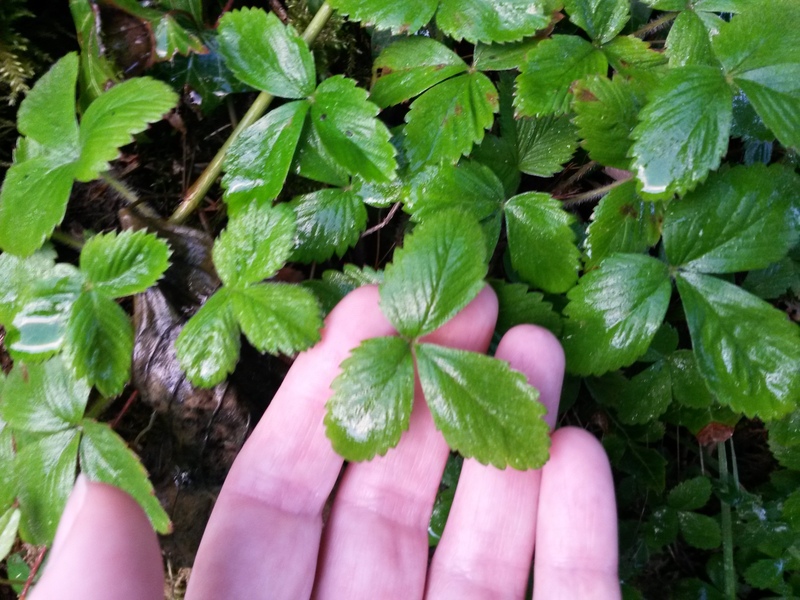 Strawberry leaves have been used in teas as traditional remedies for digestive problems and for the treatment of arthritis in people but I’ve no idea whether they would have the same benefit for rabbits!